Wreath making is one of the simplest crafts you can undertake. Each wreath reflects the creative style and personality of its creator. 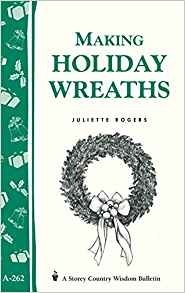 Check out these titles from our digital collections and explore a new hobby this holiday season! The home decor market is going strong with little sign of slowing and wreaths are an extremely popular way to add panache to one's home. 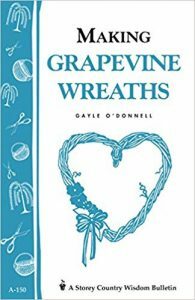 This book goes beyond the "typical flower and fruit" wreaths. Readers will find characters that relate to seasons and holidays, including Uncle Sam, Miss Liberty, Santa, a mummy, and Father Time. 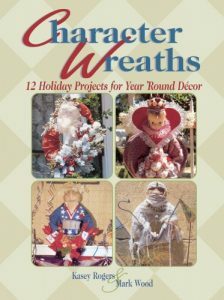 Focusing on technique, authors Kasey Rogers and Mark Wood cover the basics of creating a character wreath, from making the face to adding the sleeves to complete the perfect outfit. Each of the projects includes stunning photographs and step-by-step instructions. Whether you want to create a beautiful wreath from scratch or quickly adorn a pre-made wreath base, you'll find all the instruction you need in Making Holiday Wreaths. Learn how to make a boxwood wreath entwined with holly and ivy to grace the front door. Craft balsam wreaths to fill your home with the sweet scent of the forest. Hang gaily decorated wreaths from doors, windows, and mirror frames, or display them on mantels and tabletops. And don't limit your holiday cheer to the house - wrap an evergreen garland around the post of your mailbox, craft a wreath to encircle your birdbath, or clip a row of whimsical wreaths along your clothesline. You can even put out a wreath filled with delectable tidbits to delight your backyard birds! A collection of Christmas wreath and garland projects to make the festive period even more special. 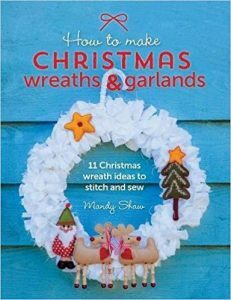 Celebrated author and pattern designer, Mandy Shaw, shares her favourite Christmas sewing projects with us and shows us how to make beautiful Christmas decorations to decorate your home at this special time of year. The projects feature Mandy's favourite seasonal motifs including snowmen, reindeer, holly, doves and candy canes and also includes Mandy's super simple techniques for making 11 different garlands, wreaths and Christmas cones. All the motifs and wreaths can be 'mixed and matched' to make endless seasonal variations for a totally unique Christmas project. These projects make the perfect presents for friends and family or treat yourself and make one to decorate your own home this Christmas!